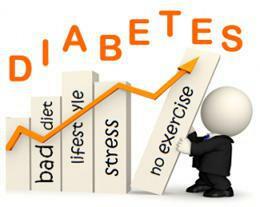 As specialists in Internal Medicine, Dr. Renu and Dr. Aparna offer comprehensive treatment and management of Diabetes. Diabetes is a serious health problem that can lead to heart disease, kidney failure, amputation, blindness, impotence and a host of other serious complications if left untreated. It is the sixth leading cause of death by disease in the United States. The key to successfully managing diabetes is finding a healthy personal balance — learning to control your blood sugar levels through a combination of good nutrition, exercise and sometimes medication. Dr. Renu or Dr. Aparna will tailor an individualized program for rehabilitation, medical management, education, nutrition and exercise counseling. Patients will benefit from our doctors' assessments and screenings in collaboration with the patients personal or referring physician to ensure the highest level of diabetic care and treatment. Dr. Renu and Dr. Aparna will teach the patient how to retain control of the disease so the patient can take charge of diabetes and enjoy a higher quality of life.